CAMP PERRY, Ohio – At the 2018 National Matches at Camp Perry, the Civilian Marksmanship Program (CMP) introduced its new series of Long Range events to competitors. 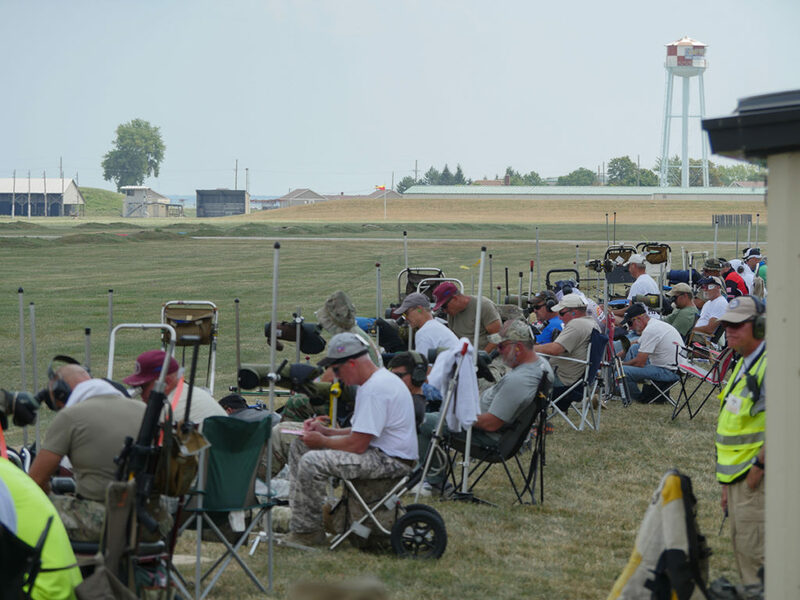 Three days of long range rifle matches, held at 800, 900 and 1,000 yards, were added to the event schedule to allow long range marksmen the opportunity to fire on the Camp Perry grounds following the National Rifle Association’s decision to leave the annual event in Ohio. Six matches were fired during the Long Range series of events at Camp Perry. 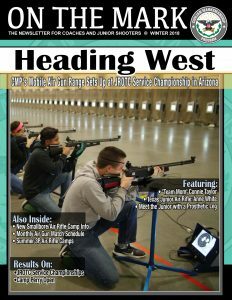 Competitors at the 2018 National Long Range Matches at Camp Perry fired in service, match and Palma rifle classes. 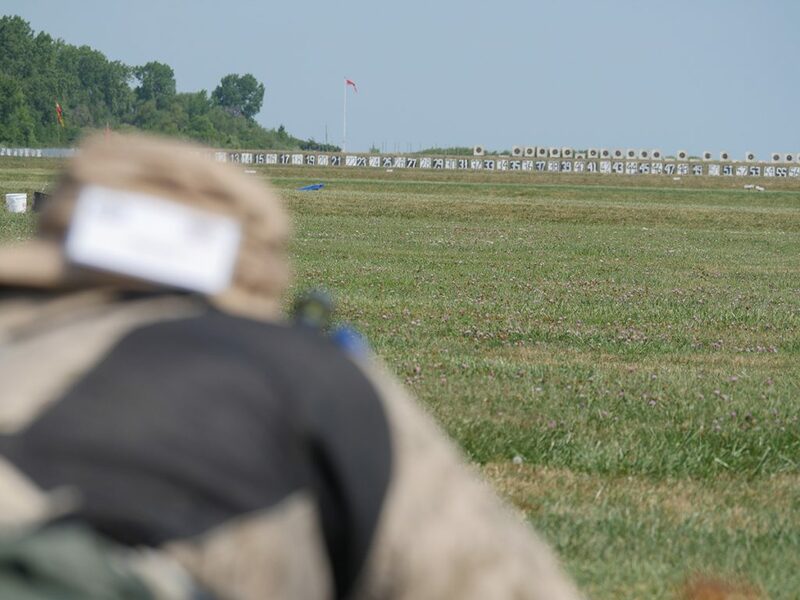 After a brief hiatus, the CMP brought Long Range matches back to Camp Perry in 2018. Geissele Automatics served as a generous sponsor for the new Long Range events, donating a prize to every winner in each category. Capstone Precision, the parent company of such entities as Berger and Lapua, also donated prizes from various companies to several winners during the National Long Range Matches. Vihtavuori was also a sponsor of the new Long Range events. SFC Shane Barnhart was the first recipient of the Coats Brown Trophy. 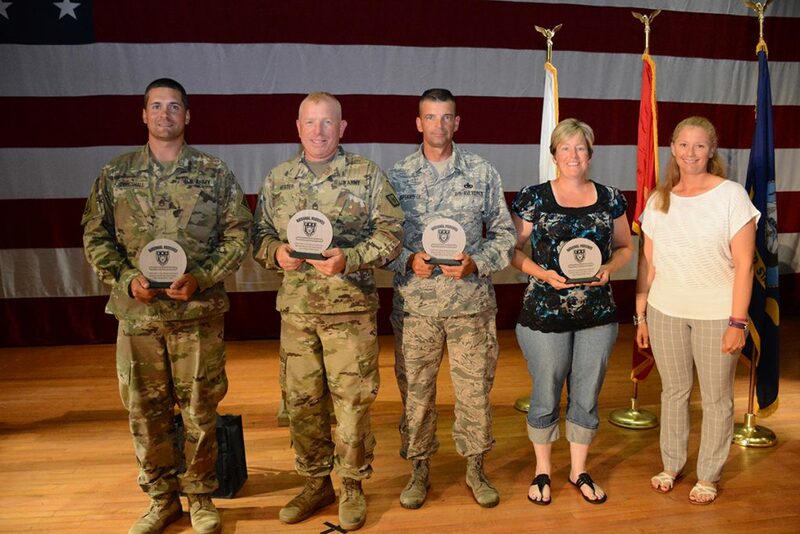 Left to right: Coats Brown family members Matthew and Paul, SFC Barnhart and COL Randal Shears. 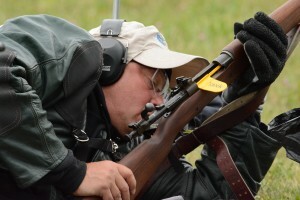 The overall aggregate winner of the Long Range Matches received the Coats Brown Memorial Trophy – donated to the CMP by the Military Marksmanship Association. 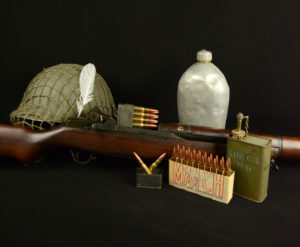 Chief Warrant Officer 4, Coats Brown, U.S. Army, began his extensive shooting career in 1935 following enlistment and became proficient in an array of firearms, from a 1911 pistol to a water-cooled machine gun. Brown was a repeat National Matches champion, individually and with teams, and went on to become the head coach of the newly-formed Army Marksmanship Unit in 1956. 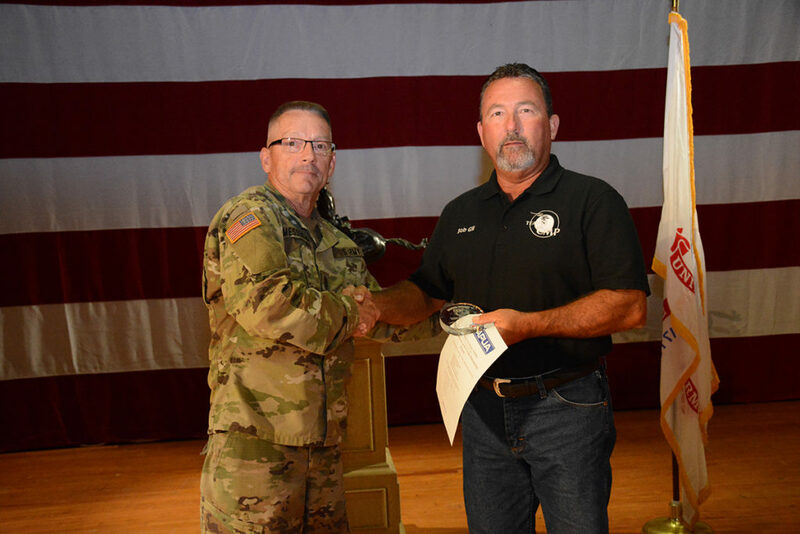 Retiring from the Army in 1965, he dedicated his life to serving as a mentor in the shooting community for the remainder of his life – molding countless individuals into skilled marksmen. Winning the overall aggregate was SFC Shane Barnhart, 39, of the U.S. Army Marksmanship Unit (AMU), with a score of 1244-71x. 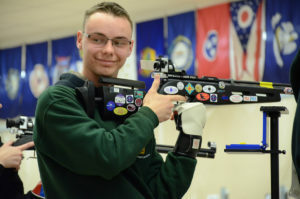 Teammate SGT Lane Ichord, 24, led the service rifle aggregate, marking up a score of 1228-48x, as Robert Steketee, 68, of Haslett, MI, fired a score of 1233-56x to top the Palma rifle category. Six matches were held during the Long Range series, with talented competitors emerging in each event. 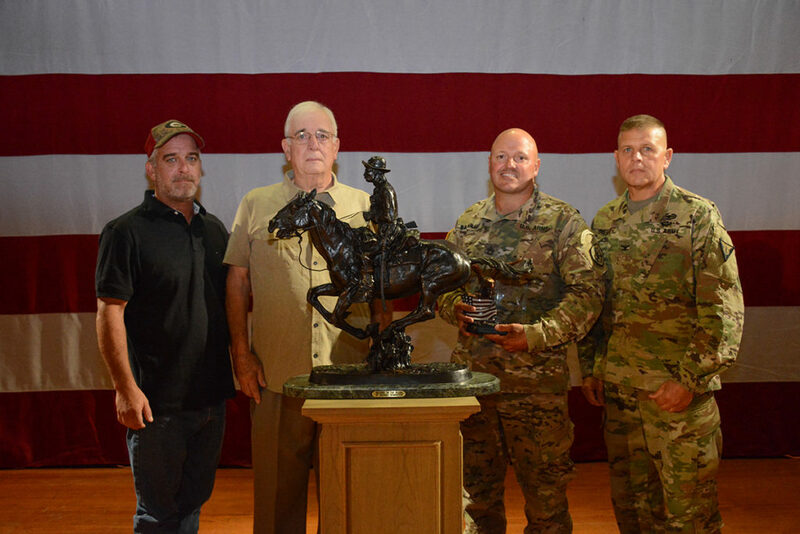 Winning the Viale Memorial Match and the Critchfield Memorial Match with a service rifle was SFC Christopher Gervasio, 48, of the U.S. Army Reserve. Gervasio dropped only one point in the Viale Match, winning with a score of 199-11x, and only three points in the Critchfield event, with a score of 197-7x. Winning a number of Palma rifle recognitions was Bob Gill of Visalia, Calif.
John Whidden, 42, of Nashville, GA, cleaned the Viale Memorial event with the match rifle, with a score of 200-12x. 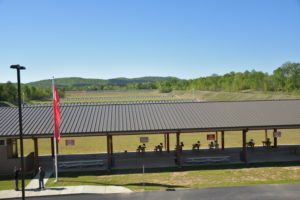 Whidden won the iron sights match rifle category by only two x’s over the second and third place competitors, who also recorded perfect scores of 200. Robert Gill, 59, of Visalia, CA, led the Palma rifle portion, while David Thompson, 56, of Keyser, WV, dropped only one point to win the match rifle with optics class. SFC Shane Barnhart, who landed in second in the Viale Memorial Match behind Whidden in the match rifle iron sights portion, earned the top spot in the classification in the Critchfield Memorial event – besting teammate and second-place finisher SFC Brandon Green by just two “x” shots. Robert Steketee cleaned the event in the Palma rifle class, as Harry Harrison, 57, of Corona, CA, earned the win in the match rifle with optics event. Both the Viale Memorial and Critchfield matches featured a course of fire of 20 record shots in 30 minutes at 1,000 yards. The same course of fire was also played out in the Henry Memorial Match and the Kerr Memorial Match, fired during the Long Range series. Overtaking the events in service rifle were AMU members SSG David Bahten and SFC Evan Hess, respectively. Bahten, 29, overtook the Henry competition with a score of 195-6x, while Hess, 32, dropped only two points for a winning score of 198-10x in the Kerr match. 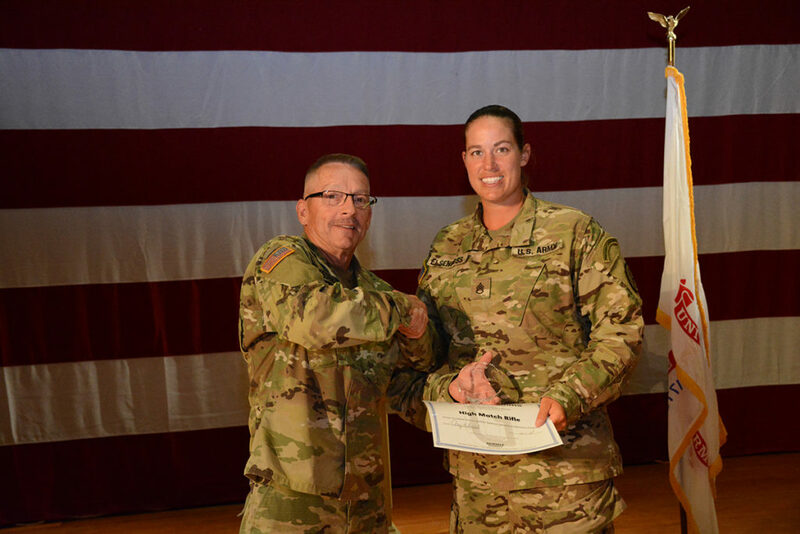 SSG Amanda Elsenboss earned Overall and High Woman honors during the Long Range events. SFC Barnhart also earned the win in the match rifle class in the Henry Memorial event, dropping only one point, while AMU teammate SSG Amanda Elsenboss, 29, cleaned the match rifle portion in the Kerr Memorial event and won by just one “x” shot, with a score of 200-15x. Also winning by just one “x” was Kent Roach, 58, of Toledo, OH, who overtook the Palma rifle class in the Henry Memorial Match, with a score of 193-6x. SSG John Coggshall, 33, of the Army Reserve National Guard, earned a perfect 200 to pass Robert Gill and receive the win in the Palma class during the Kerr Memorial event. The Bataan Memorial 4-Man Team Match, which included 20 shots by each member at 1,000 yards, saw wins from the AMU in both the match and service rifle categories. 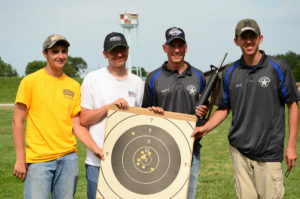 Members of AMU Green (SSG Elsenboss, SFC Barnhart, SFC Green and SGT Ben Cleland), each dropped only one point in the match rifle class to record an aggregate score of 796-54x. AMU Craig members (SGT Ichord, SSG Bahten, SSG Augustus Dunfey and SGT Verne Conant) earned a score of 776-21x in service rifle for the win. High Palma Team in the 4-Man event: (Left to right) SSG John Coggshall, MSG Michael Hester, MSG Garey Diefenderfer, Hanne Brantner. All Guard Coggshall members (SSG John Coggshall, Hanne Brantner, MSG Michael Hester and MSgt Garey Diefenderfer) claimed the win in the Palma category with a score of 787-33x. A Camp Perry Palma Match was also fired during Nationals, where competitors fired 15 record shots at 800, 900 and 1,000 yards, in a block time of 22 minutes at each firing line. Winning the service rifle portion was SGT Verne Conant, 22, of the AMU, with a score of 448-22x. 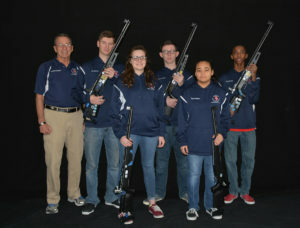 David Thompson led the match rifle any sight category by just on “x” count, recording a score of 447-28x. 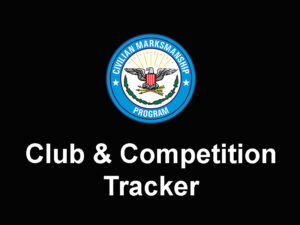 For a complete list of results, visit the CMP Competition Tracker page at https://ct.thecmp.org/app/v1/index.php?do=match&task=edit&match=16633&tab=results. 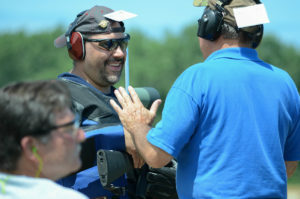 Photos of the Long Range events can be found and downloaded for free on the CMP’s Zenfolio page: https://cmp1.zenfolio.com/p415119337. 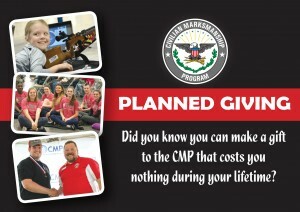 SAVE THE DATE: The CMP’s Long Range Matches will take place August 6-9 at Camp Perry, in Port Clinton, Ohio. 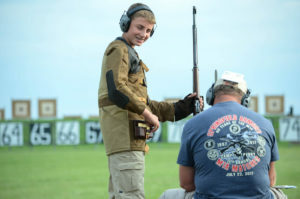 Events include three days of Individual Long Range Matches, two days of Team Matches, the Camp Perry Palma Match, Shooter’s Reception and Long Range Awards Ceremony. I appreciate the CMP listening to suggestions from the competitors. Especially the new match schedule for the 2019 long range nationals.